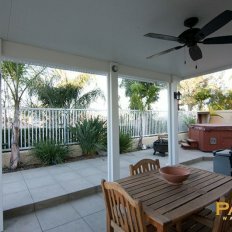 The solid patio covers gallery below provides samples of projects, and we think you’ll like what you see. 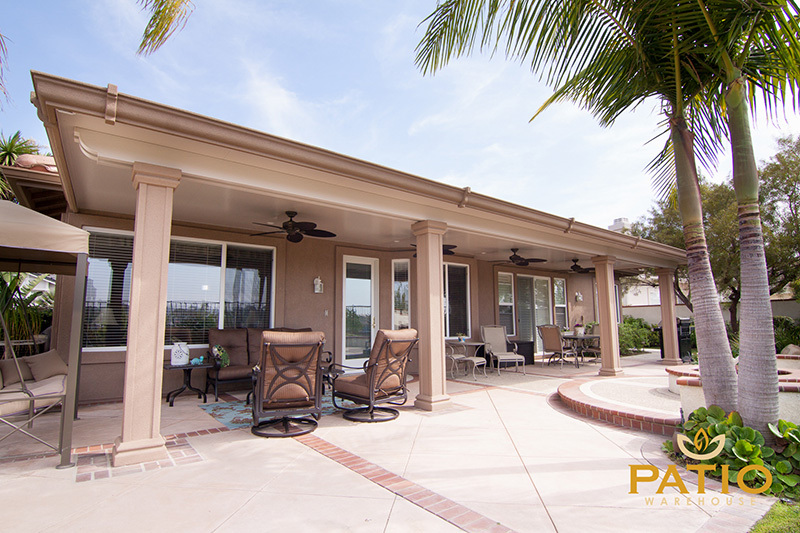 Orange County, California is known for its mild climate year-round, but contrary to the classic song lyrics, from time to time it does rain in Southern California. 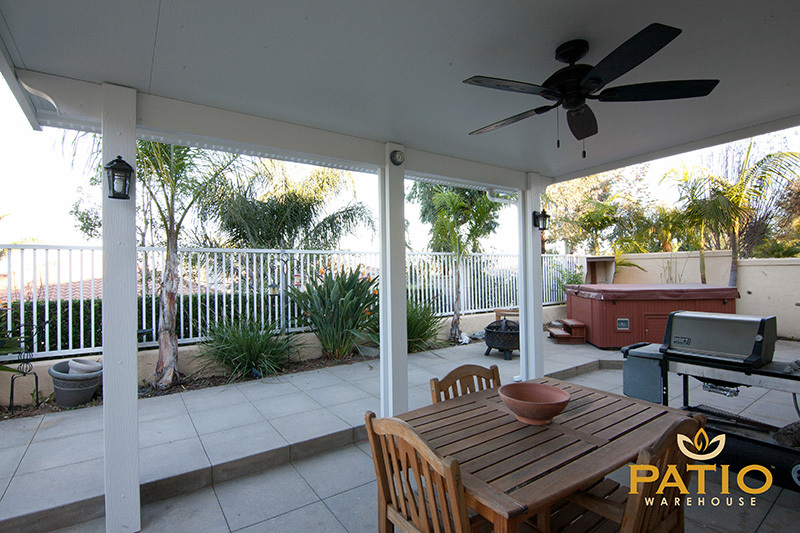 Fortunately, Patio Warehouse carries a wide array of patio covers, and a solid Elitewood aluminum patio cover makes it easy to unwind in open-air elegance while protected from the elements. 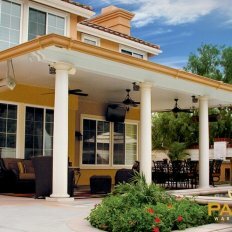 In addition to durable style, a solid aluminum cover offers an affordable alternative to traditional wood patio covers. 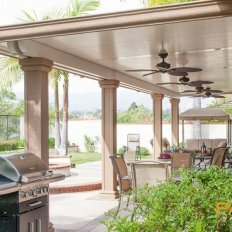 Not only will you save money on upfront costs, but selecting an attractive Elitewood patio cover means you’ll also spend less on upkeep and maintenance. 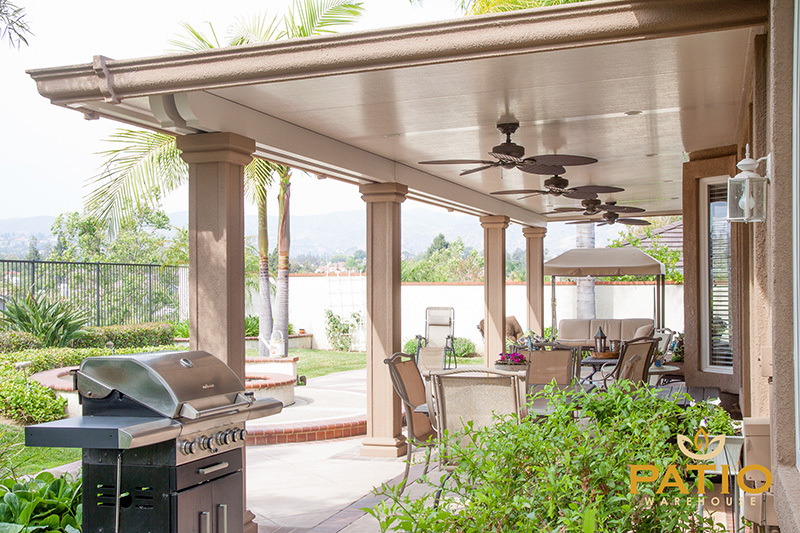 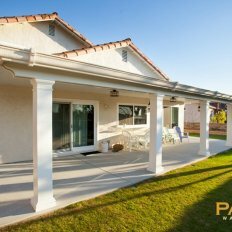 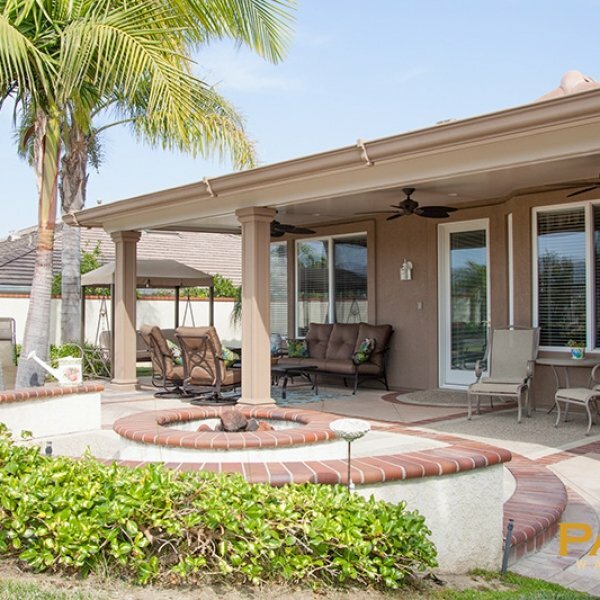 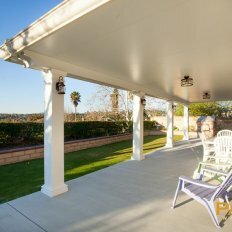 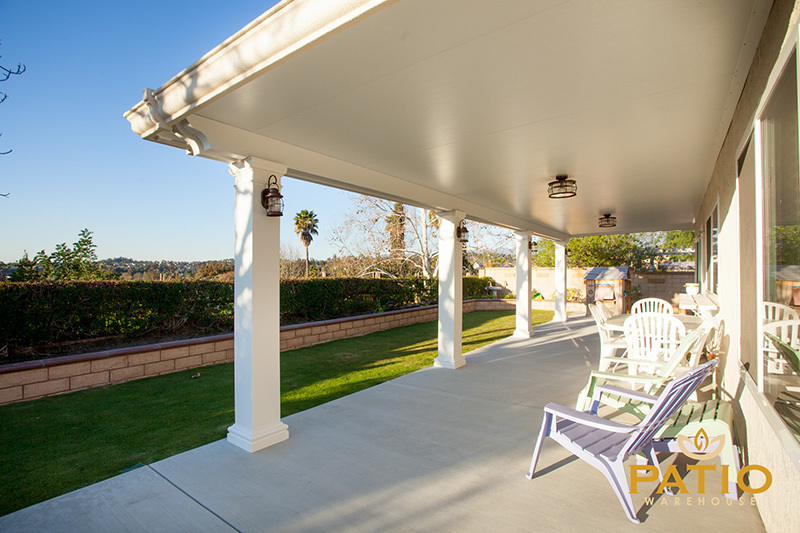 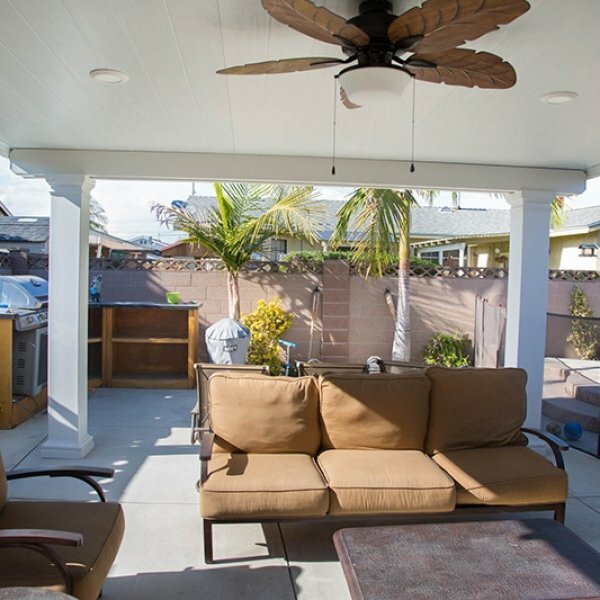 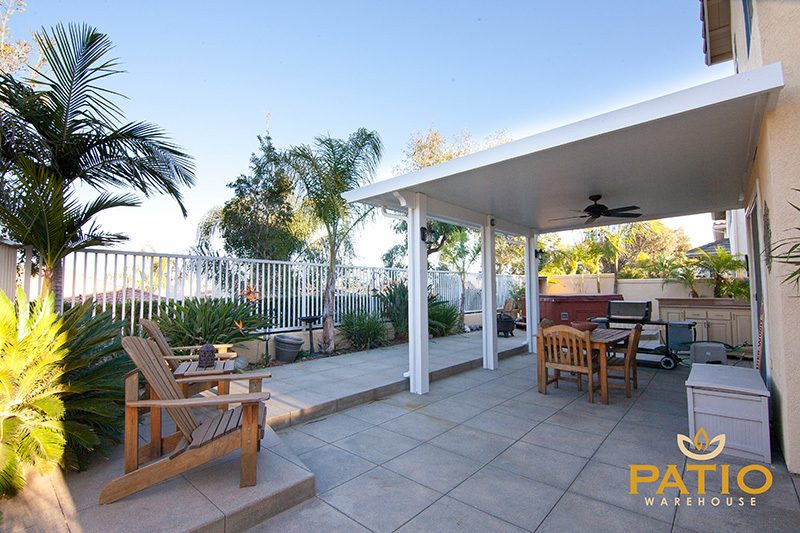 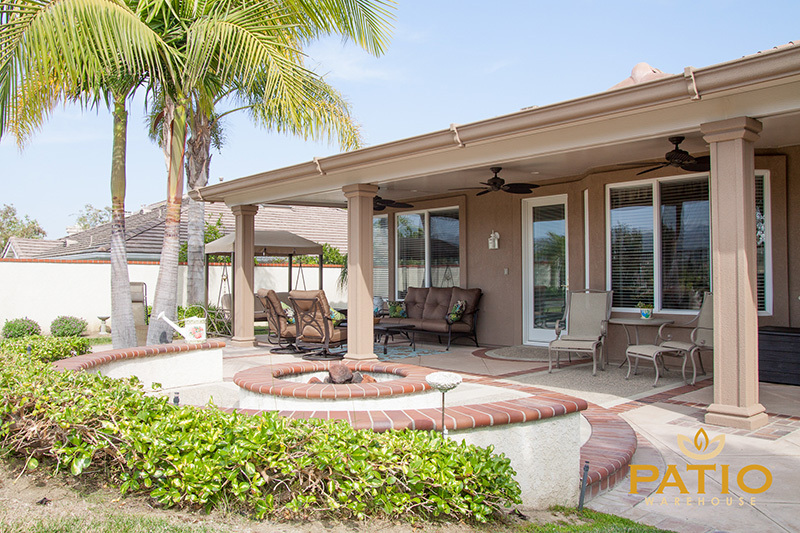 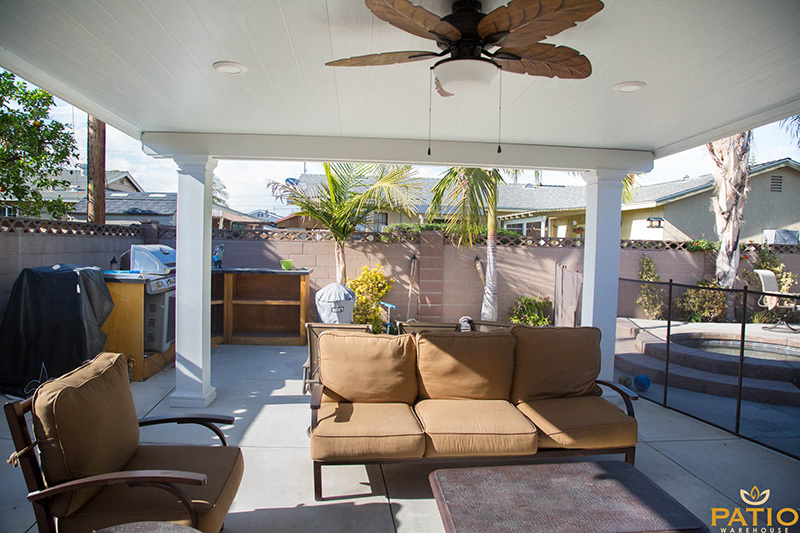 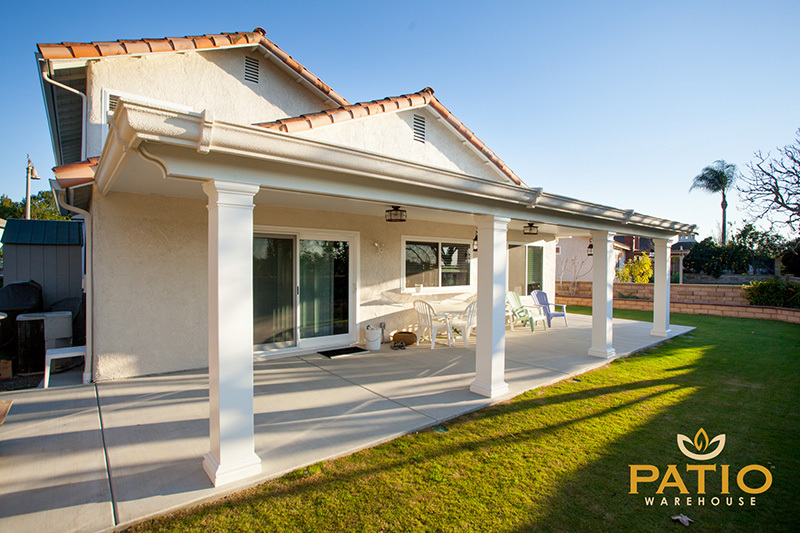 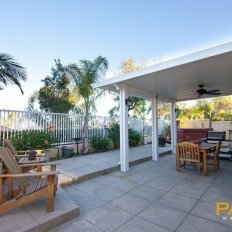 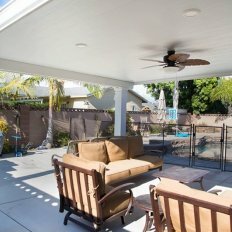 At Patio Warehouse, we understand a covered patio is an extension of your lifestyle, and our commitment to your satisfaction fuels our drive to be the best solid patio cover contractor in Orange County, CA. 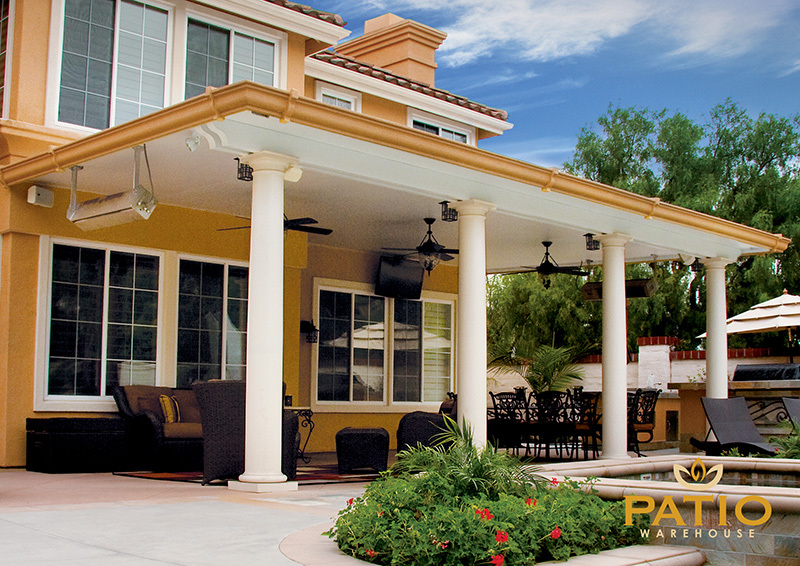 But rather than trying to convince you with words, we’re proud to let our work speak for itself. 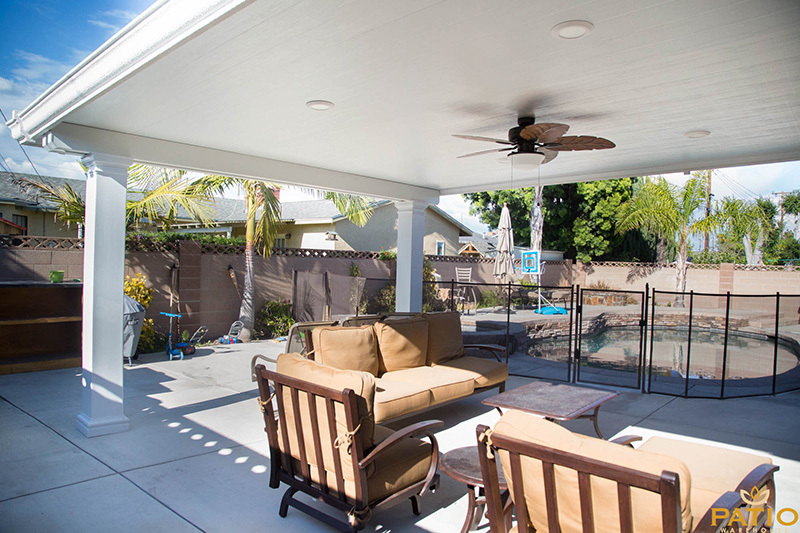 Once you’ve browsed these completed projects, give us a call so we can help you plan your own.